As long as Daesh remains a significant threat worldwide, the Coalition will continue to capitalise on the momentum that Coalition and partner forces have achieved and apply continuous pressure on the terrorist networks wherever they operate. The defence aspects of the Coalition will continue to evolve as the threat changes and the Coalition increasingly focuses on Daesh networks and branches. The existing Coalition Force Command in Tampa will continue to support the efforts in Syria and Iraq, to help retain our significant successes against Daesh to date. The Coalition is in Iraq to support – and at the invitation of – Iraq. Over the course of operations, the Coalition has supported the Iraqi Security Forces with airstrikes and extensive training, working closely with them to build their capabilities in the fight against Daesh. This work will continue in 2018 as the terrorist group continues to lose territory, to ensure that Daesh is dealt a long-lasting defeat. The Coalition will continue to support Iraqi Security Forces as they transition from major combat to stability operations, with an emphasis on training, logistics, intelligence, protecting borders and counter-terrorism support. Through supporting the Iraqi Security Forces and through a comprehensive stabilisation plan, the Coalition will ensure Daesh can no longer target the people of Iraq, or those living further afield, in Coalition countries and elsewhere. 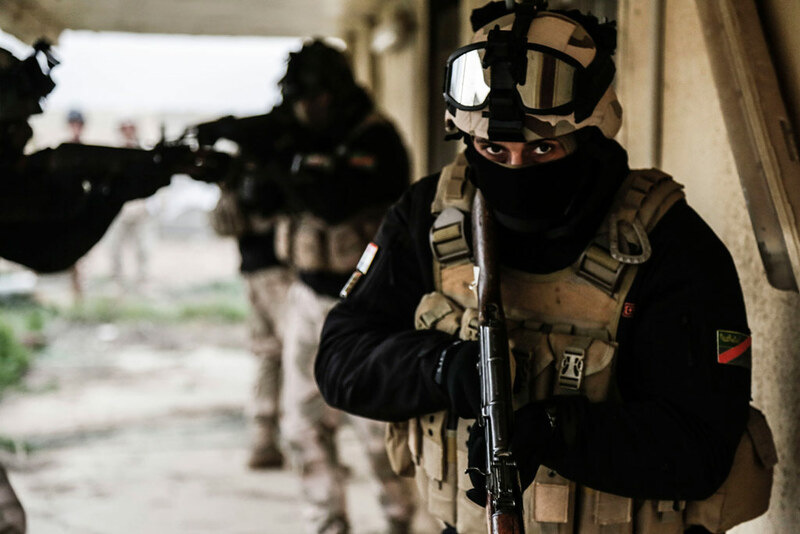 The Iraqi Security Forces have proven themselves to be a professional and motivated fighting force and have achieved consistent successes in liberating Daesh-held territory, including in difficult urban environments such as Mosul. Fellow members of the Coalition will continue to support them through training, to build their capacities and provide special enabling functions. The Coalition and Syrian partner forces have made significant progress in the campaign to defeat Daesh in Syria. As the terrorist organisation continues to lose territory, important work remains to ensure its lasting defeat. To achieve this, the Coalition must ensure the group cannot regenerate, reclaim lost ground, or plot attacks. The Coalition will sustain a “conditions-based” military presence in Syria to combat the threat of a terrorist-led insurgency, prevent the resurgence of Daesh, and to stabilise liberated areas. As long as Daesh remains a significant threat worldwide, we will continue to capitalise on the momentum that Coalition and partner forces have achieved – and apply continuous pressure on the terrorist networks wherever they operate.